Whether you're a first-time home buyer or a veteran, buying a home is a complex process. The first thing you need to do is figure out what type of home you want to buy. Is it a older home or a new one? What amenities do you want it to have? Then use our website search and call us! We can help you find homes that match your criteria, notify you when new homes become available, and take you to see as many as you like in person. Find an Chippewa Falls, WI real estate agent to help you buy your home. Contact our Chippewa Falls, WI realty office today about buying your home. The longer a seller's home is on the market, the less attractive the home becomes to buyers. The best home selling tricks are to price it right, prepare it for sale, hire the best listing agent (Woods and Water Realty), and attract that excited home buyer who will offer top dollar in record time. Find an Chippewa Falls, WI real estate agent to help you sell your home. Contact our Chippewa Falls, WI realty office today about selling your home. 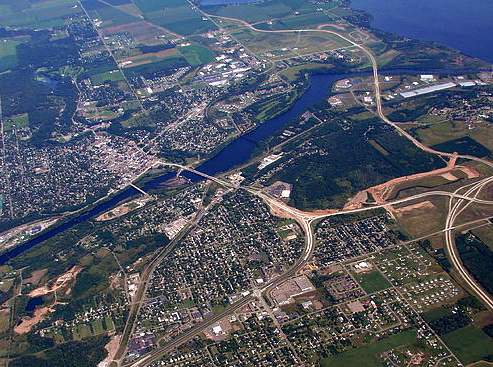 Choose Woods & Water Realty in Chippewa Falls, Wisconsin to assist you with buying a home. 1. Meet with a home loan officer and get pre-approved for a loan. Need a recommendation? Feel free to ask your Woods & Water real estate agent to recommend a loan officer who has performed well for our previous clients. 2. Specify your wants, needs and budget. It helps to focus your search on a few neighborhoods. 3. View homes for sale that meet your criteria. You'll probably want to see enough homes to feel comfortable in your marketplace. When you find the perfect home, be prepared to act fast. 4. Make an offer and negotiate the terms. Trust your Realtor to prepare and present your offer to the seller in the best possible light. Counter-offers are common. Be prepared to be a little flexible on price, closing date, appliances, or repairs. 5. Consider a home inspection and warranty. A Home Warranty Program offers you the safety of an inspection and the security of a warranty, combined to protect you from unexpected expenses. Arrange for a professional home inspection. This is your best chance to carefully evaluate the property's systems and structure. An experienced, outside professional is worth every penny. 6. Shortly before closing, do a final walk-through of the house. Make sure that everything you thought was included in the purchase agreement remains on the property. 7. Close on your new home. Your closer, real estate agent, and loan officer will walk you through the process. Effective marketing is more than sticking a sign in the yard. Successful marketing means utilizing multiple marketing techniques to draw in the largest pool of buyers. Besides listing your home for sale on our website (which has more extensive search features and buyers tools than any other real estate agency in the Chippewa Falls, WI area), it is also listed in the northwestern Wisconsin MLS so it appears on every real estate agency's website. We also advertise your home for sale on the Charter Main Street TV program, numerous Chippewa Falls area publications, and our own property brochure that has a circulation of over 20,000. A good real estate agent can make or break your deal. All Realtors® are licensed to sell real estate but not all real estate agents are Realtors. Realtors belong to the National Association of Realtors and follow a Code of Ethics which outlines the standards of practice and establishes levels of conduct that are higher than ordinary business practices or those required by law. Less than half of all licensees are Realtors. Your Wisconsin Woods and Water real estate agents all are. Our confidence in our ability to meet your personal selling goals and make the experience a positive one is so great that we are willing to guarantee it in writing! This is Woods & Water Realty's Market Performance Guarantee, and it's another reason that we have been rated highly in customer satisfaction. Here's how it works: It details the specific tactics we will use to market your home for sale and expose it to the broadest possible audience. If at any time, for any reason, we fail to take action on activities listed in the guarantee you have the right to communicate your dissatisfaction to us and we do our best to make it right OR you can cancel your Listing Agreement. Your total satisfaction is our greatest concern. Make the mental decision to let go of your emotions and focus on the fact that soon this house will no longer be yours. Think of it a product for sale. Pack up photos and heirlooms. Buyers can't see past personal artifacts, and you don't want them distracted. You don't want them asking, "I wonder what kind of people live in this home?" You want them to say, "I can see myself living here." Remove all books from bookcases, pack up knickknacks, clean everything off of counters, and donate stuff you haven't used in over a year. Put extra furniture in storage to give more space, and make your rooms look larger. Think of this process as a head-start on the packing you will eventually need to do anyway. Buyer loves to snoop. They will open closets and cabinet doors. If a buyer see everything organized, they will assume you haven taken good care of the rest of the house. Line everything up nice and neat. If you want to take something with you, remove it now. If the chandelier in the dining room once belonged to your great grandmother, take it down. If a buyer never sees it, they won't want it. Once you tell a buyer they can't have an item, they will covet it, and it could blow your deal. Wash everything! Hang fresh towels, replace worn bedspreads and old rugs, repaint any loud colored walls, mow the lawn and trim your bushes, replace burned-out light bulbs, and make any minor repairs. Go outside and open your front door. Stand there. Does the house welcome you? Linger in the doorway of every single room and imagine how your house will look to a buyer.